Seems everyone is complaining that they are losing height these days. It’s very common to hear someone say “ I used to be 5’10” but now I’m 5’8”. How does this happen in life? Is it preventable? The answer is ‘yes’. 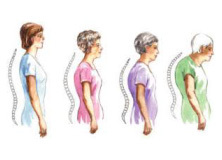 Shrinking, or height loss is due primarily to one thing, postural aging and decline. We all begin life with 2 wonderful curves; one in our neck and the other in our lower back. Each curve becomes a shock absorber to lessen the impact of walking, running and other upright activities. These curves give us the perfect alignment and balance to our bodies. As you age, gravity and the everyday repetitive movements in life, pulls your head and body downward and forwards. Without constant active strengthening of your postural muscles (neck, shoulders and glutes), you give gravity permission to keep pulling you forward every minute of the day. Eventually, you get stuck in these postures and begin to loose your spinal curves completely. Sadly, while posture is the thing that ages you most quickly, it’s the thing you most ignore. Consider that your head weighs about 10 pounds. 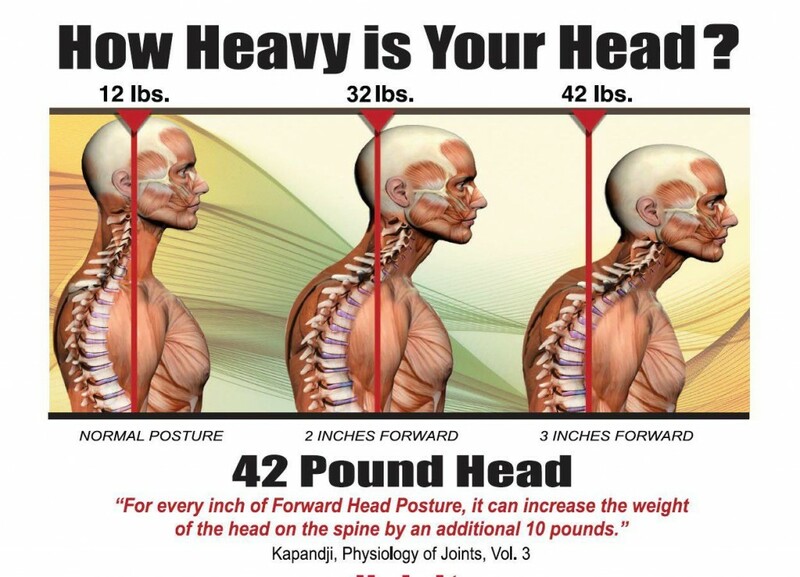 Did you know that for every inch you let your chin drop and your head drift forward you DOUBLE the weight of your head in pressure on your neck and back. So, you are most likely carrying around an extra 20 to 30 pounds every day! This extra weight compresses the front part of all your vertebrae. Soon your vertebrae begin to wear down creating lost height. Its common to experience neck and shoulder pain. 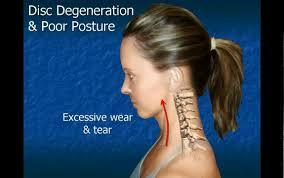 You might end up getting injections in your neck/shoulders to relieve this pain, which is not advised by me. You also might get an MRI which shows issues like “loss of disc height”, ‘narrowing of the foramen”, or “disc degeneration”. These problems compress nerves and send shooting pain down your neck, shoulders and arms. You also become at increased risk for osteoporosis, arthritis. As the body follows the head, this weight compresses your chest and lung cavities and results in reduced oxygen exchange to your brain and body. Most importantly, you should strengthen your postural and glute muscles, activating them daily against gravity. Remember, gravity works on you every day of your life. It’s up to you in determining how much damage it will do on your body. In the meantime, keep your chin up! Click here to watch my free video on strengthening your postural muscles to avoid shrinking.